NEW SERIES! 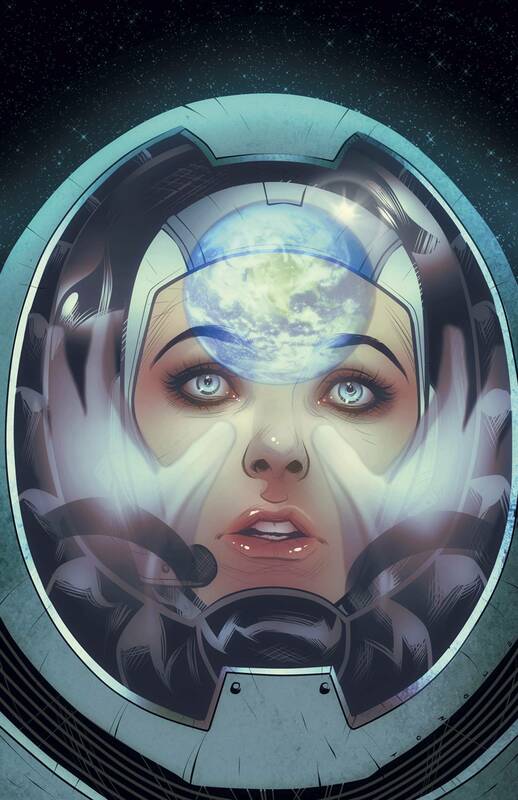 Meet Sarah, an astronaut traveling from dead planet to dead planet, talking to the ghosts of the dead worlds...as she fights to discover the secret that's killing the universe. But Death doesn't give up its secrets so easily, and as Death hunts her from planet to planet, Sarah struggles to maintain the trust of her crew and her own sanity in the endless ocean of lives. Every world has a story, and if she can find the secret tying them all together, she can save Earth from being the next world to die. From GROOT and THE JIMMY KIMMEL SHOW writer Jeff Loveness and AMERICAN MONSTER, ANIMOSITY: THE RISE artist Juan Doe, comes the chilling, epic new series that will be sure to appeal to fans of THE ARRIVAL, INTERSTELLAR, and THE EXPANSE.